Paypal Standard getaway gives you the ability to allow your customers pay their purchases through PayPal. 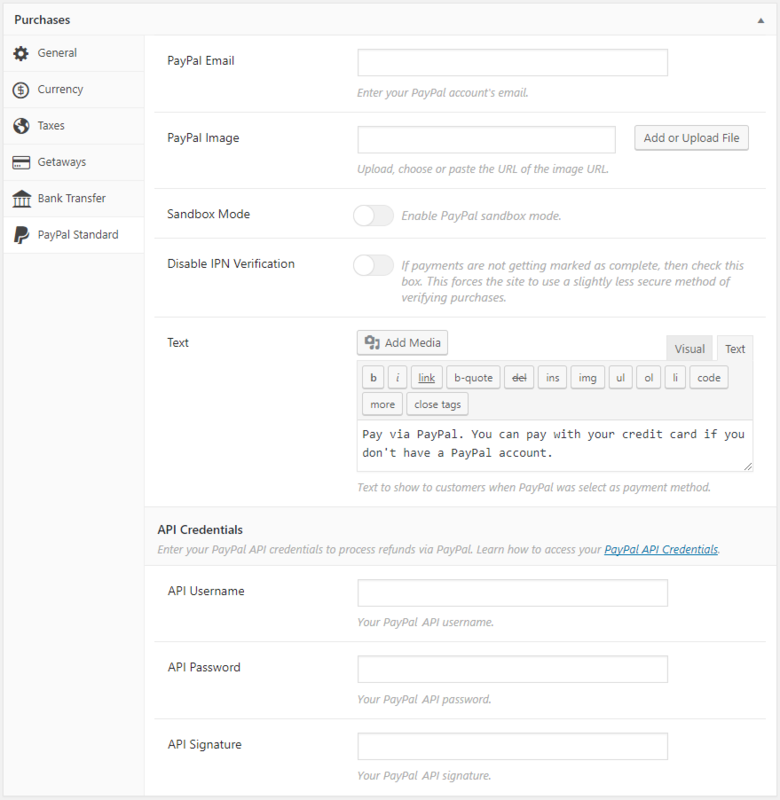 Upload, choose or paste the URL of an image to be shown on the PayPal checkout page. 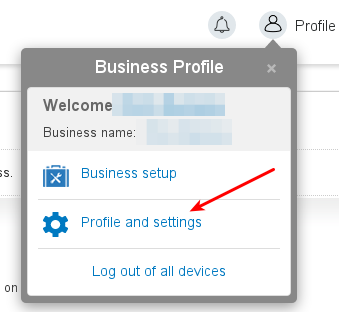 Check this option to enable the sandbox mode. Important: Payments made when sandbox mode is enabled will know this, so on process a refund it will continue on sandbox mode even if it has been disabled. If payments are not getting marked as complete, then check this setting. This forces the site to use a slightly less secure method of verifying purchases. Text to show to customers when PayPal Standard was select as payment method. Your PayPal API credentials to process refunds via PayPal. Learn how to access your PayPal API Credentials. The PayPal Instant Payment Notification (IPN) service allows PayPal to communicate with your website, and mark transactions as complete, failed, refunded, etc. The PayPal IPN will be configured automatically when using PayPal Standard but it is still important you can confirm it is enabled inside your PayPal account. 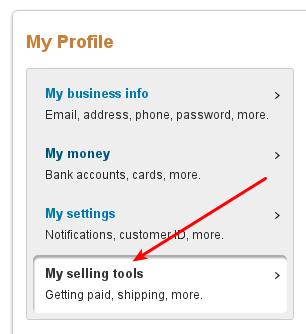 Log into your PayPal account and go to Profile -> My Selling Tools -> Instant Payment Notifications. After you click Update you’ll be presented with a page of information and a link to Choose IPN Settings. Note: please replace “yoursite.com” with the appropriate name of your website. If the PayPal IPN is not working, you can disable IPN verification, which simply disables an extra verification step that is performed when IPN messages are processed. Important: Since September 30, 2016, PayPal IPN verification requires an SSL certificate. 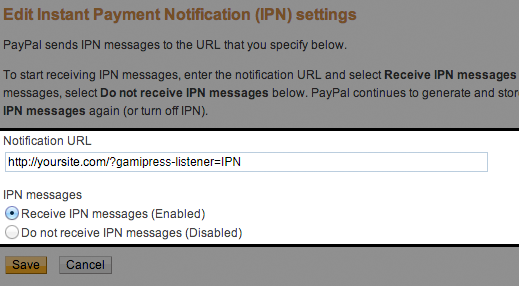 If you need to access your PayPal IPN history, see this guide. On the payment edit screen you will see a new action to see the transaction details on PayPal directly. 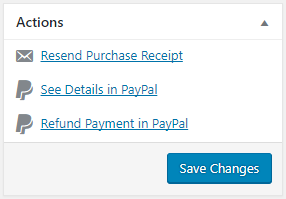 On the payment edit screen you will see a new action to automatically refund the payment and notify it to PayPal by just clicking on the payment action.